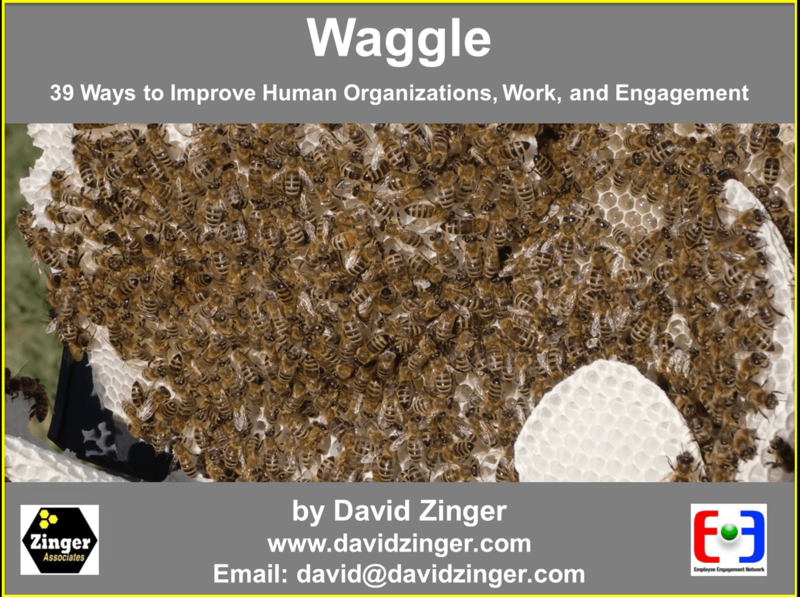 My newest free eBook Waggle is coming on May 29th. This book looks fantastic on a tablet or smart phone. It is based on 3 years attempting to convene honeybees and humans. It is not really about bees, don’t worry you won’t get stung. It is about what we can learn from bees to improve our own work, engagement, and organizations. It will be released on May 29th. because that is Manitoba’s: Day of the Honeybee. I will post it on this site and other places on that day. It is 68 pages long and has lots of pictures so it is an easy read, perfect while you are waiting at the gate for your flight to Timbuktu or waiting in your doctor’s office. I no longer have the patience for most business books that drone on for 350 pages and generally I can find most of what I am looking for from an author in a good blog post. I just had so many great images that I wanted something that was easier to look at and pass around. The book is free, you will just click on the image and read it or download it. There is no email or registration required. What I hope you will do is pass it on to others who may benefit by being able to think differently inside their hive. Come back on May 29, catch the buzz, and start your waggle. David Zinger is an employee engagement expert and speaker who went to the honeybee hives for three summers to learn lesson for engagement from this enthralling species.